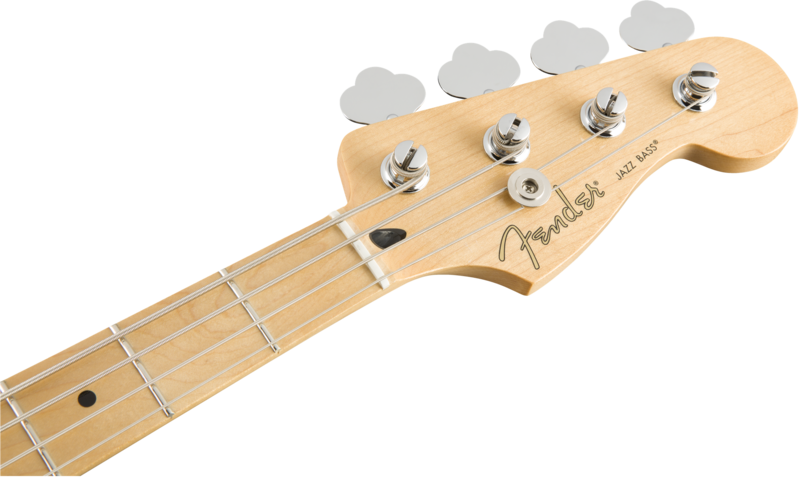 With its dual single-coil pickups and smooth playing feel, the Player Jazz Bass is an inspiring instrument with classic, elevated style and authentic Fender bass tone. It’s powerful, rumbling sound is punchy and tight; a growling voice that’s matched with fast, smooth playing feel for a shot of creative inspiration. Ready for action in the studio, or on the stage, the Player Jazz Bass can take anything you can think of—and everything you haven’t yet. Respecting our heritage while maintaining our innovative spirit, the two growling Player Series single-coil pickups are packed with legendary Fender bass tone, turned up to 11 for modern ears. Volume controls for each and a master tone control are close to hand to shape the pickups’ powerful voice so you can easily craft your sound. 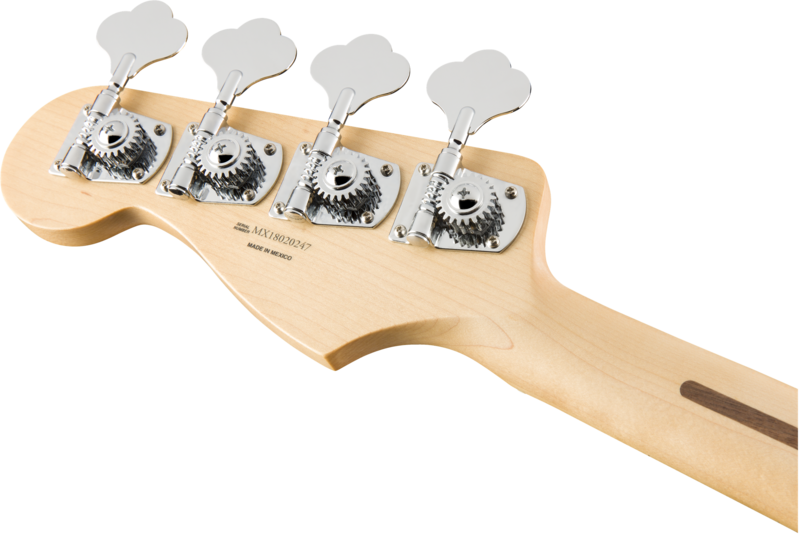 The “Modern C”-shaped maple neck hosts a 9.5”-radius fingerboard with 20 medium-jumbo frets that are ideal for almost any playing style, while the 4-saddle bridge is engineered for accurate intonation and easy action adjustment so you can personalize the feel to your playing style and taste. 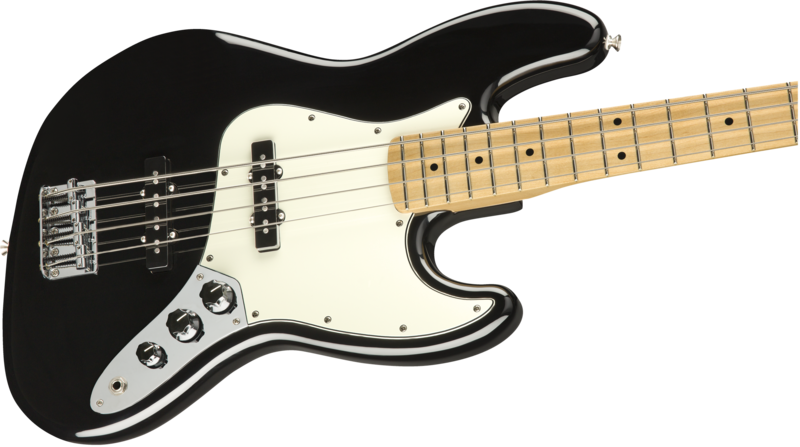 Other features include a 3-ply pickguard, synthetic bone nut, vintage-style disc string trees, open-gear tuning machines and a four-bolt “F”-stamped neck plate that marks this instrument as the real deal—as Fender as it gets. 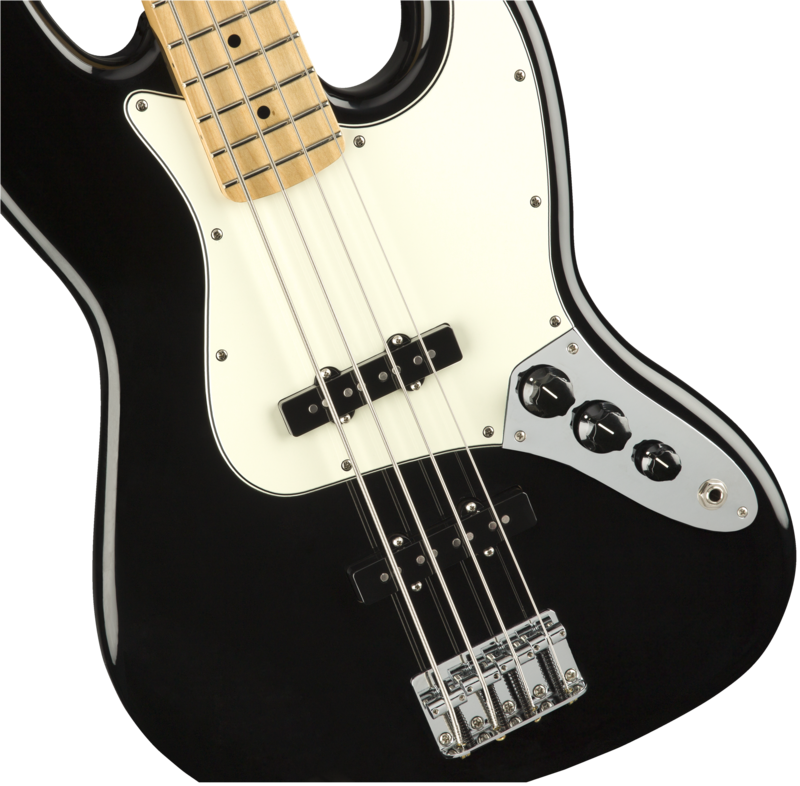 When you need a bass that can help you get to the next level—one that has genuine Fender sound, style and feel—reach for the Player Jazz Bass.